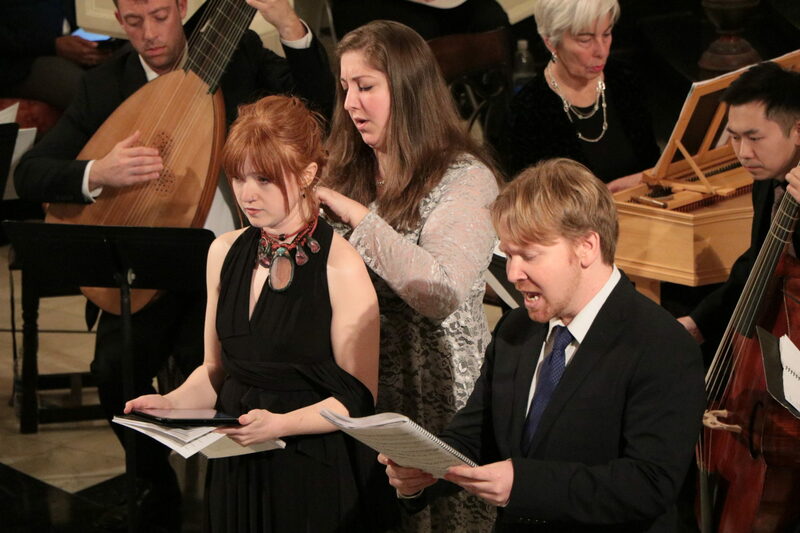 For an hour or so on a balmy September evening, Hartford-based early-music group Ensemble Origo transported a small but excited audience to September 14, 1530, the Feast of the Holy Cross. To commemorate the 500th anniversary of the beginning of the Protestant Reformation, the group presented a musical reconstruction of a Medieval Lutheran church service. The concert, entitled “Luther’s Deutsche Messe” and built around Martin Luther’s instruction on how to celebrate a Mass, included German chorales by Luther’s chief musical collaborator, Johann Walter, declaimed portions of the liturgy set by Luther, and four of five movements of Josquin des Prez’s heavenly Missa de Beata Virgine. (The “Credo” was sung in a German setting by Walter.) With their clean, pure tones and taut harmonies, the ensemble of eight a cappella singers, led by Ensemble Origo’s director, Eric Rice, offered a vivid and moving account of early-Lutheran adoration. The four selections by Josquin were the clear standout of the evening, with the ensemble executing the complex, textured polyphony with seeming ease. The singers created a balanced and elegant vocal blend while also masterfully executing the composer’s florid, ornamented lines. The “Sanctus” was especially moving, as soprano Sarah Moyer’s light, shimmering tone floated above the group with angelic lyricism. Later, Moyer lent her voice, alongside the cooler soprano of Megan Chartrand and the husky alto of Mary Gerbi, in a lovely rendition of Walter’s “Nun freut Euch,” a trio originally intended for choirboys. The men of Ensemble Origo also displayed skilled musicianship. Basses Elijah Blaisdell and Paul Max Tipton sang with sonorous richness in both their solo numbers—they were responsible for singing much of the declaimed music, such as the Collect and Gospel—and when contributing to the larger musical texture. Countertenor Clifton Massey’s supple timbre contributed nicely to a brief duet with Tipton during the second verse of Josquin’s “Agnus Dei,” and tenors Paul D’Arcy and James Williamson sang as if they were one, bright voice throughout the evening—even if D’Arcy’s sound did seem a little stretched by the solo demands placed upon him during the Epistle. All in all, the performance was fairly brief; however, in that short time, the Ensemble Origo not only offered a superb performance of sublime early music, they succeeded in resurrecting the past in a uniquely ear-opening way. Ensemble Origo’s performances of Christ lag in Todesbanden will be on February 9th, 10th, and 11th in Hartford, Boston, and New York. Visit https://www.ensembleorigo.org/ for more information.